Using satellite information, the service provides information for emergency response for different types of disasters, including meteorological and geophysical hazards, deliberate and accidental disasters, humanitarian disasters, and for prevention, preparedness, response and recovery activities. Philippe Brunet, European Commission Directorate-General for Enterprise and Industry, said, "With our fleet of Sentinel satellite missions and our Copernicus Emergency Management Service, we are very well placed to help to respond to disasters such as hurricanes. "Our teams have been on stand-by for several days so that they could produce these maps quickly. "Our aim is to help and we have the tools to do so. We are, of course, concerned for all those affected by this huge storm." Sentinel-1 is a two-satellite constellation. Each identical satellite carries an advanced radar instrument, which can 'see' through clouds and rain. This is essential for mapping weather events such as this. 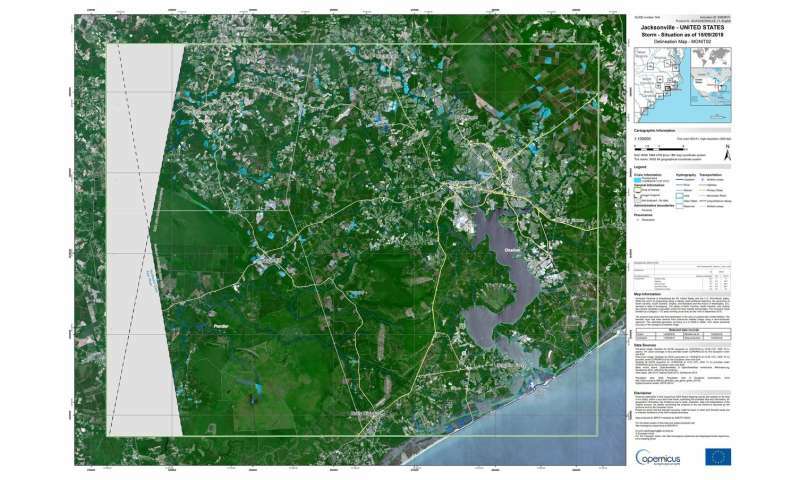 Josef Aschbacher, ESA's Director of Earth Observation Programmes, said, "In response to the activation from the Copernicus Emergency Management Service, we specifically planned observations from both Sentinel-1A and Sentinel-1B so that areas in the US affected by the hurricane could be mapped. 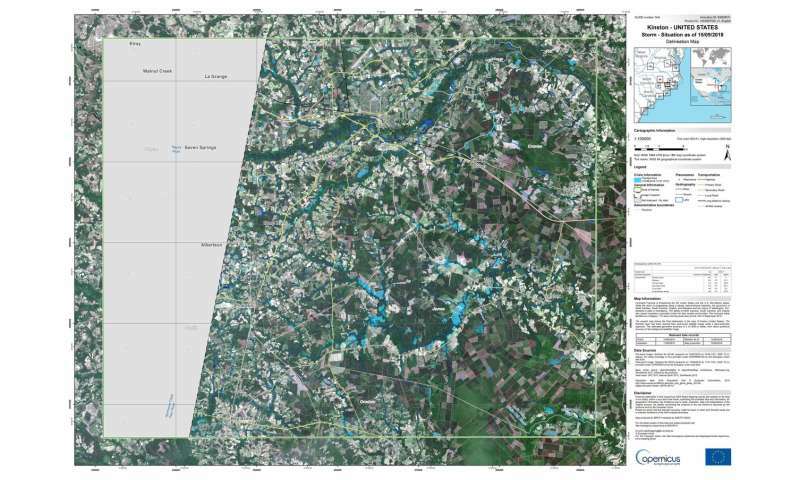 "Sentinel-1, with its large-scale mapping capability, is particularly suited to mapping floods over large areas." The first maps shows flooded areas is near Jacksonville and Kinston, North Carolina. 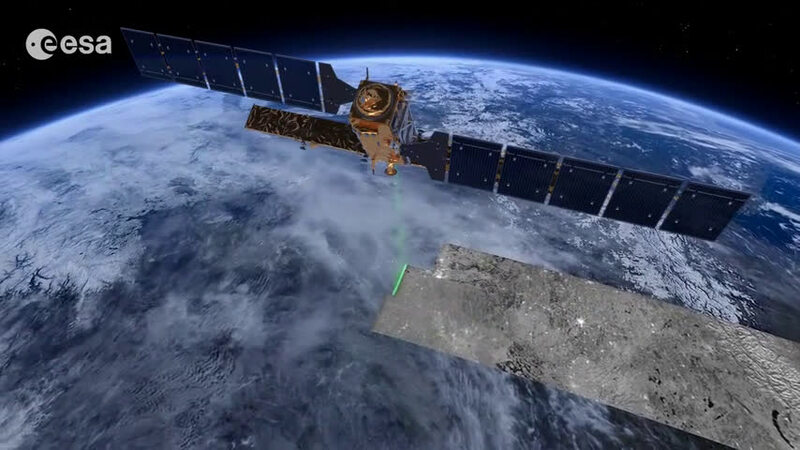 The Sentinel-1 satellites, together with other satellites contributing to the Copernicus Emergency Management Service, will provide further observations in the coming days.